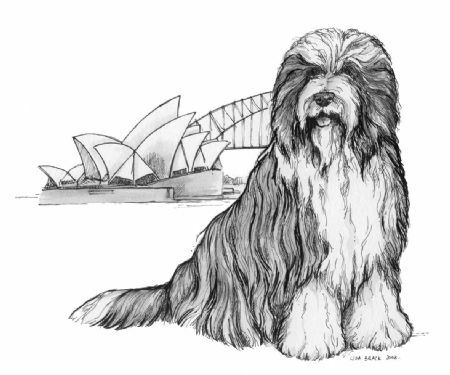 Welcome to the web site of the Bearded Collie Club of NSW Inc. Here you can find out more about the breed, the club and activities for you and your dogs to become involved with. The origins of the Bearded Collie breed makes for fascinating reading. On the edge of extinction, the dedicated work of determined individuals brought the breed back to what we have now. For more information about this fascinating breed visit the About Beardies page. Here you will also find the Australian Breed Standard as well as a History of the Breed. Interested in adding a Bearded Collie to your family? The Club helps link prospective beardie owners with breeders. See our Breeder’s Directory for a list of registered breeders, or contact the Secretary for a referral. The Club organises many activities - not just dog shows - but Obedience Trials, Herding Trials & Tests, Breed Stalls and, Fun Days for Beardies and their owners. Visit the Events Calendar for more information. The Bearded Collie Club of NSW holds specialty shows just for Bearded Collies. See the Results Page for information, photos and results from our most recent Shows and Trials. Some of our Pointscore Trophies have been presented since 1996 maintaining a long tradition within the Club. Visit the Pointscore page to see the results. Check out the Club Information page to find out more about the activities of the Club and download a membership form.